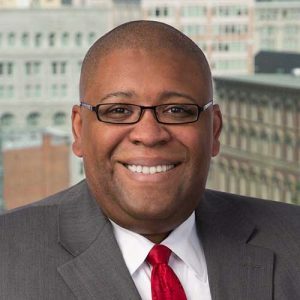 The Honorable David Strickland, currently a partner at the national law firm Venable LLP and Counsel to the Self-Driving Coalition for Safer Streets, served as the 14th Administrator of the National Highway Traffic Safety Administration (NHTSA) from 2010 – 2014. During his tenure he oversaw the creation of the first national fuel economy program in conjunction with the EPA, the launching of the Safety Pilot for the Vehicle to Vehicle Communications program for the U.S. Department of Transportation/NHTSA, and issued the first statement of policy regarding the testing of automated vehicles on public roads. Prior to his appointment to NHTSA, Mr. Strickland served as Senior Counsel to the U.S. Senate Commerce Committee, where he was responsible for the staff oversight of the Federal Trade Commission, the Consumer Product Safety Commission and NHTSA from 2001 – 2009.